The rarest of the Wild Geese collection and a very good whiskey. A blend of double distilled malt whiskey and grain whiskey from the award winning Cooley Distillery in County Louth. It's an unpeated style and is aged only in bourbon casks. 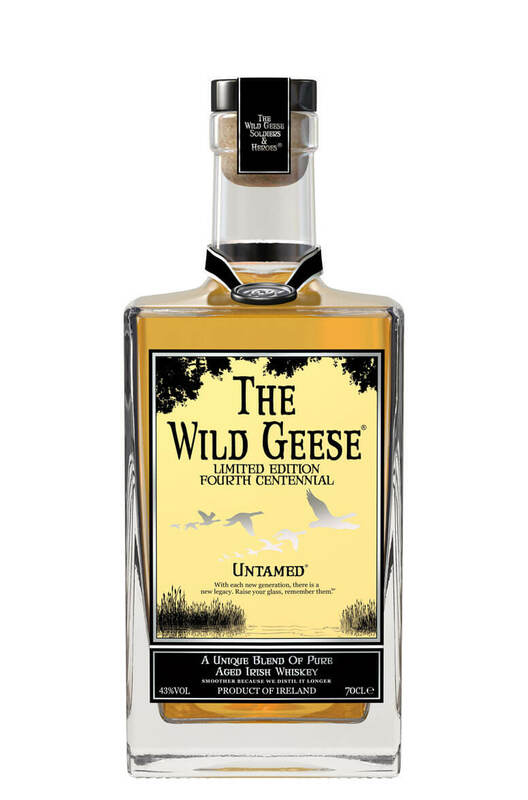 As with all of the Wild Geese whiskeys its superbly presented. Jim Murray gave this a very impressive 93 score in his Whisky Bible 2009. 'Simply stunning; just so light, the clarity of the barley sugar and vanilla leaves you purring; a limited edition of unlimited beauty/ One of the lightest, subtle, intriguing and quite simply, disarming Irish whiskeys on the market."